Are you tired of the endless search for your lens case and mirror in your handbag? Would you prefer having everything together in one handy box? Look no further. 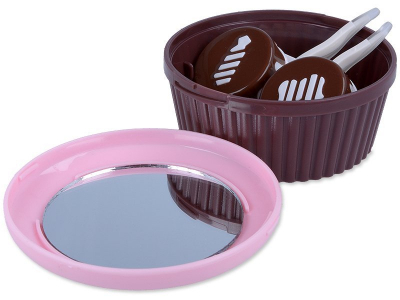 Each of our contact lens kits contains a built-in mirror, as well as a lens case and tweezers for easy and hygienic handling of your contact lenses. You'll need a handy case if you're currently wearing monthly or bi-weekly lenses, which require overnight storage and cleaning. Make sure you have an adequate supply of solution for your on-the-go lifestyle by choosing your favourite solution here. 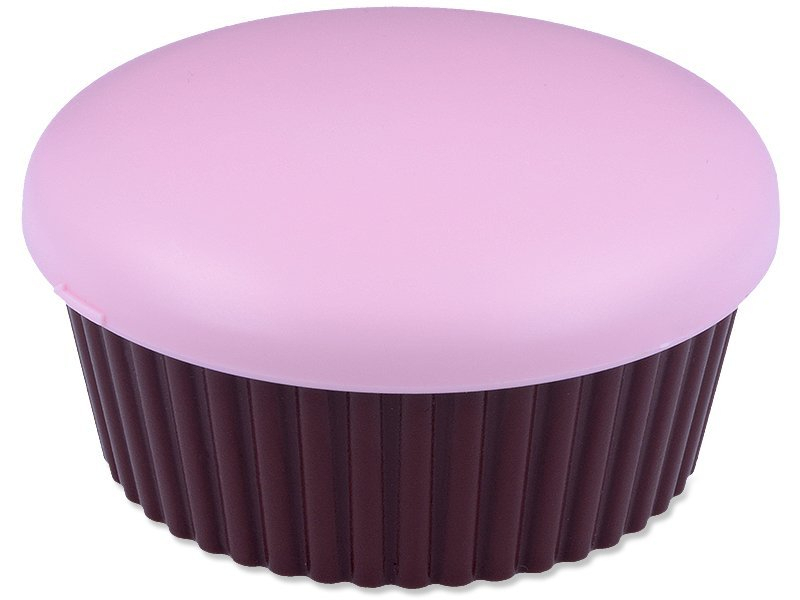 This muffin case is also available in orange and brown. Cute little product. Always keep it with me when im out the house.